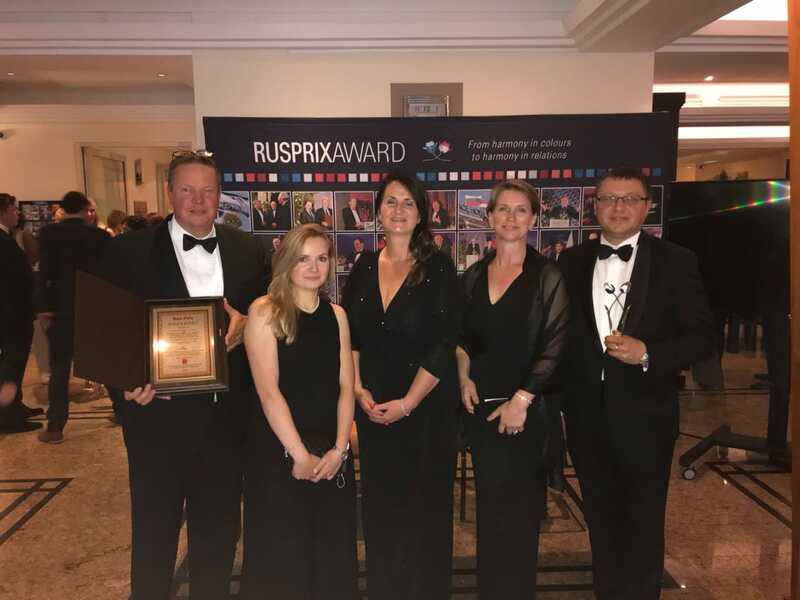 The main aim of the RusPrix Award is the encouragement of Dutch companies, public organizations and individuals of politics and culture, who achieved exceeding results in the development of business- and cultural relations with the Russian Federation. It is conducted under the patronage of Embassy of Russian Federation to The Netherlands and has been organizing since 2004. ‘It is a great pleasure for me to be on this stage accepting this award. We are deeply honored to be among the winners, feel the acknowledgment of our achievements and share this moment with all the participants. We will continue strengthening our footprint in Amsterdam and will bolster further development of logistics sector between Russian and the Netherlands’ – highlighted Andrey Andreev, Vice-President, Europe for AirBridgeCargo Airlines in his acceptance speech. AirBridgeCargo has been providing scheduled cargo services to Amsterdam since 2005, connecting Dutch customers with Russia, Asia, and the Americas in the most effective manner and guaranteeing access to its international network of more than 30 cargo destinations. For the last eighteen months, ABC total cargo carried to/from the Netherlands amounted to over 200 thousand tonnes. Throughout a couple of years, Amsterdam has become one of its prime online stations for development of abc pharma services for healthcare, pharmaceutical, and other medicine-related products. Amsterdam station is Envirotainer QEP certified and favors Pharma Gateway Amsterdam initiative, which has increased ABC recognition and brand awareness on the European market of pharmaceuticals.